The Calm Collection is designed for reactive, sensitive skin as well as skin that is more sensitive temporarily. This collection is free of synthetic fragrance and consists of gentle ingredients. 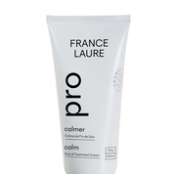 Canadian willow, arnica, german chamomile, calendula and honey are ingredients in the Calm Collection. They are known for their anti-inflamatory, desensitizing, decongesting and softening effects.